T-Mobile is now sending out security updates for a few former Android flagships. 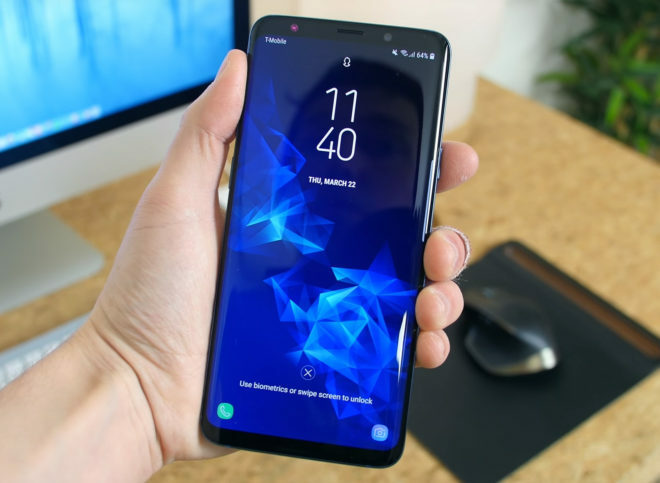 First up, both the Samsung Galaxy S9 and Galaxy S9+ are receiving updates to the March 1, 2019 Android security patch level. Galaxy S9 owners should be on the lookout for an update to version G960USQS4CSC3 which is 149.63MB in size, while Galaxy S9+ owners can expect a 155.96MB update to version G965USQS4CSC3. If you’ve got a Galaxy S9 or S9+, you can wait for your update to make its way to your device or you can check for it manually by launching the Settings app and going into Software update > Download updates manually. Also receiving an update this week is the LG V30. The 181.2MB update bumps the V30 to version H93220s and includes the March security patches. You can grab the update by going into your V30’s Settings app and going into About phone > Update Center > System updates > Check for update. just force checked and its downloading now. For as much as people say Samsung is slow to update, i’ve gotten more updates since i’ve had the phone than my previous LGs combined. I think I’ve been within 1-2 months at most behind any security updates, which I think is pretty good. Battery on S9 plus seems to be improved a bit in this update. After I updated my galaxy note 9, I could no longer respond to group text of 10+ recipients. Samsung said they couldn’t help me. I hope this doesn’t happen to anyone else. S9+ with G965USQS4CSC3 force closes settings at times. Not entirely stable. Do you have two “Night Mode” buttons in your Quick Settings panel? After updating, I had two, and if I have both showing, and press either, neither works and I get System FCs; if I remove one of those tiles, then restart, it works fine. Still don’t know what in the update caused it, though. You’re right! Did the same, it works now. But, the removed one remains in the “available” quick panel buttons, and they can’t be re-ordered now. Yeah, something went kinda weird with this update, but at least that’s the worst I’ve seen so far.